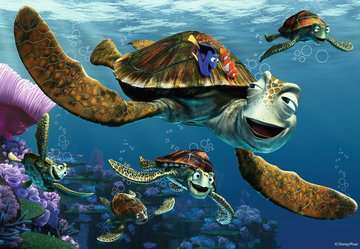 Grab shell, dude! 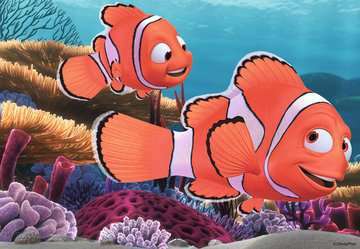 Two 24-piece puzzles feature Nemo and his dad Marlin on their swim to school and Crush and crew racing through the Eastern Australian Current. 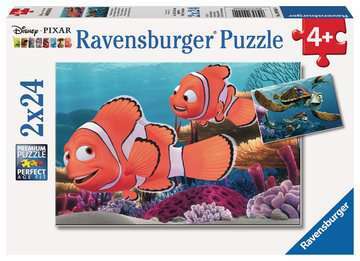 Assemble the pieces to reveal these classic scenes from Disney Pixar’s Finding Nemo. For ages 4 and up.